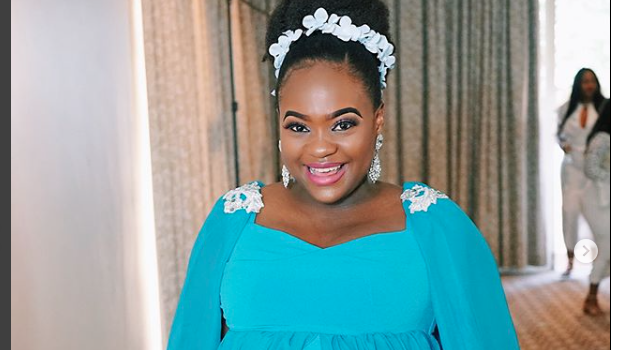 Media personality and TV presenter Kayise has taken to Instagram to share snaps of her baby shower, which took place at Woodmead Country Club, Johannesburg this past weekend. The mom-to-be shared the news of her pregnancy on social media in July in a stunning photoshoot. "I am delighted... in fact overjoyed to share with you the most precious transition my entire being has ever undergone!! I have in the past few months been prepared for the role of a lifetime and I am so, so grateful that God has chosen to bless my womb with a fruitful seed of life and love. I’d like to thank my family, friends and colleagues for respecting our privacy during this incredible time. I’m in love!!!"